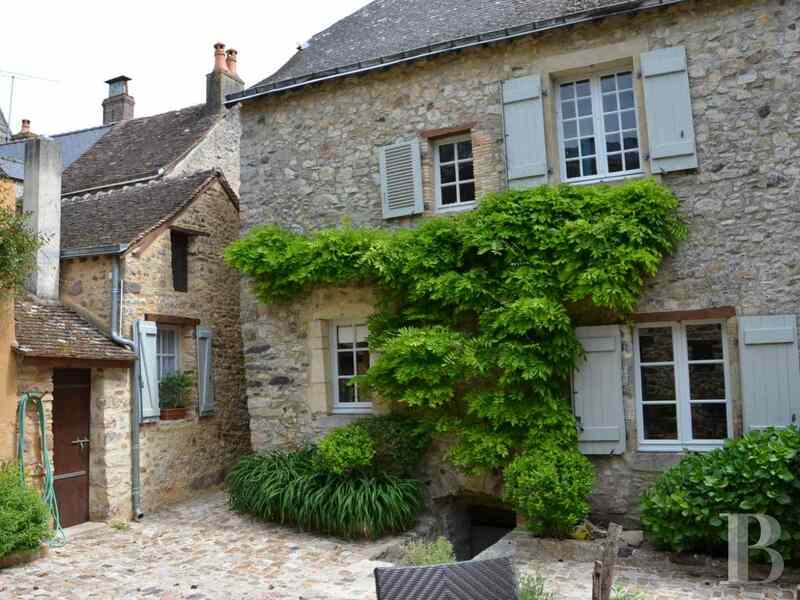 One of France’s most beautiful villages, constructed on a rocky promontory, Sainte-Suzanne, is 250 km from Paris westwards on the way to Brittany. 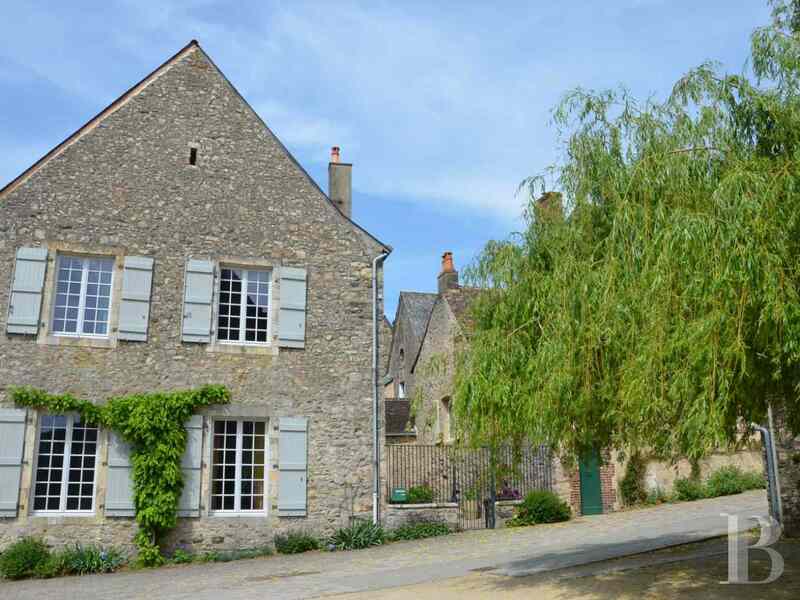 35 km from Laval (TGV train station with 70-minute links to Paris), 48 km from Le-Mans (TGV train station with 55-minute links to Paris), then Évron via the TER train line in respectively 15 and 30 minutes. A slip road on to the A81 Paris-Brittany motorway is about 15 km away. 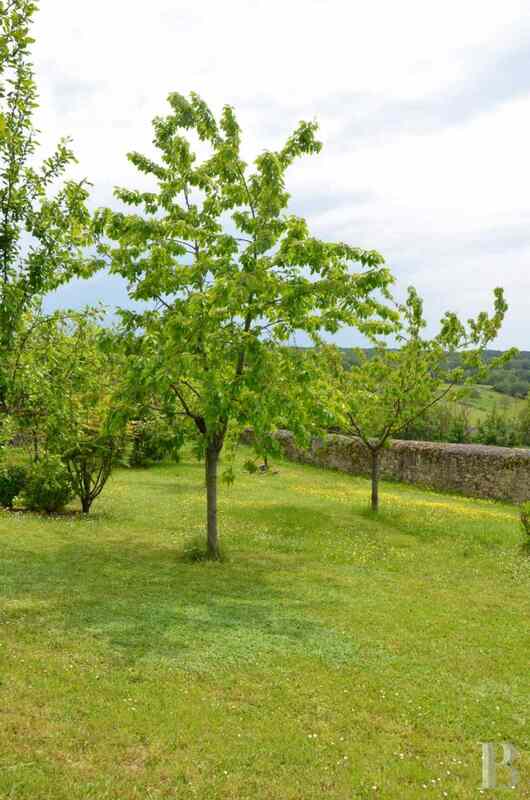 7 km from the village of Évron with all amenities, a market, shops, primary and secondary schools, cultural and sports centres as well as a TER train station. The lively town of Sainte-Suzanne has all local shops, unusual restaurants, bohemian boutiques and numerous events including medieval fetes as well as theatre and classical music festivals. 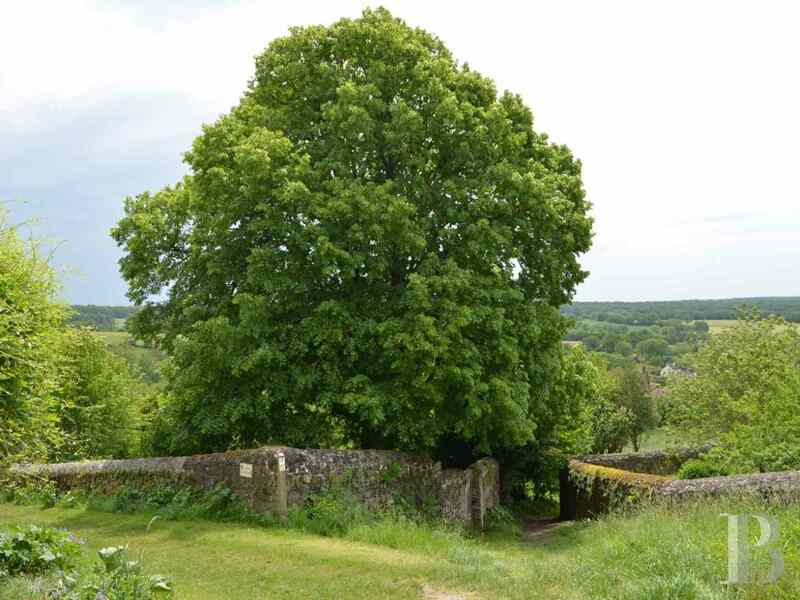 A superb plain, composed of irregular-shaped fields separated by hedges and ditches, extends between the Charnie forests and the Coëvrons hills. A must for history and hiking enthusiasts! 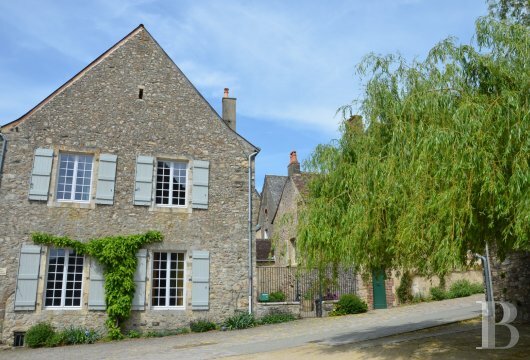 This residence, in the midst of a small character town, stands facing the castle square on a crossroads where a narrow street provides direct access to the inner courtyard. It is followed by an outbuilding in use as a garage. Gates on the east side, that of the castle square, open into a first courtyard enclosed by buildings. One of them, facing the entrance to the residence, houses a bedroom. The second, planted courtyard, reached via a stone archway, features a large wooden terrace. 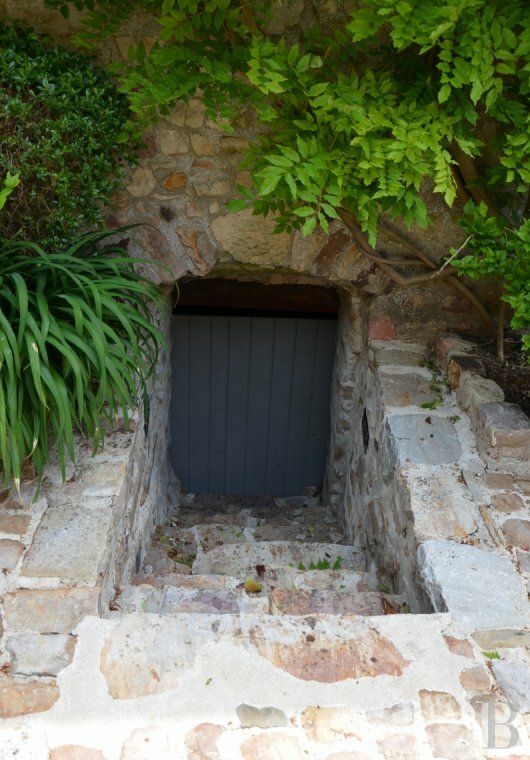 This area leads down to the cellar, out on to the narrow street, to an interior access to the garage and includes small outbuildings housing the boiler room and other storage areas. It reveals the west facade of the residence. 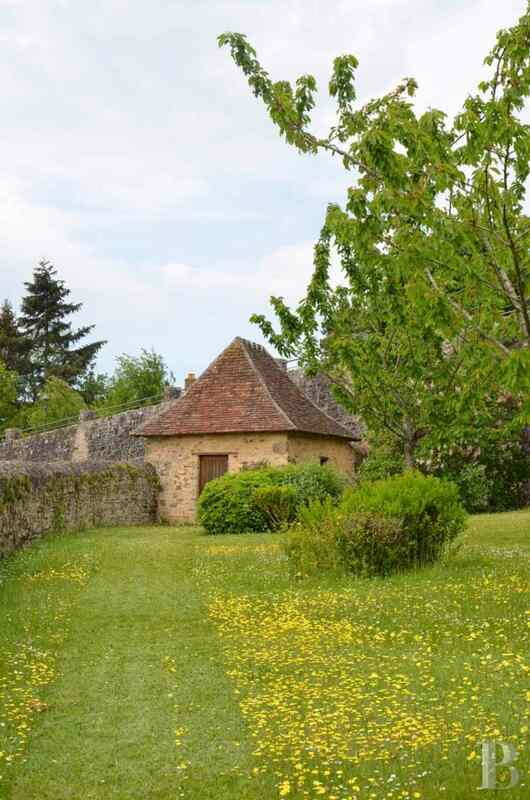 A verdant garden with an orchard, just a few narrow streets away, is enclosed by walls. 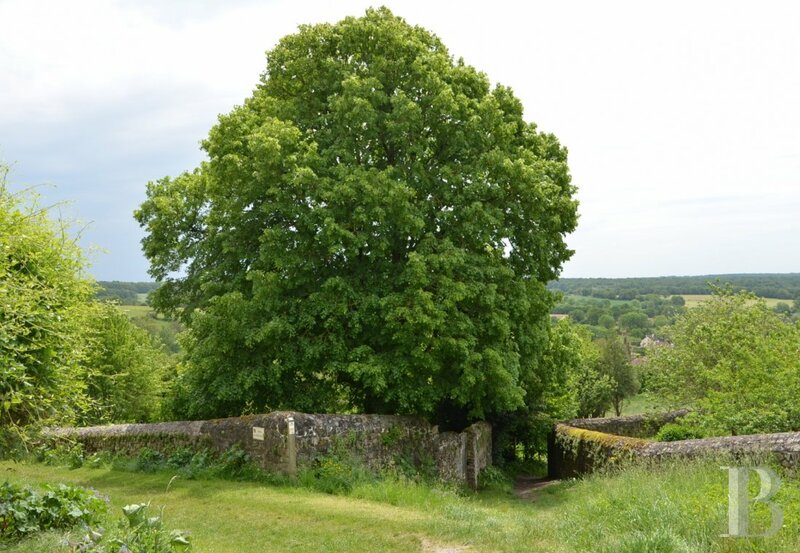 The view from the south-facing terrace, backing on to the town ramparts, encompasses meadows bordered by hedges. 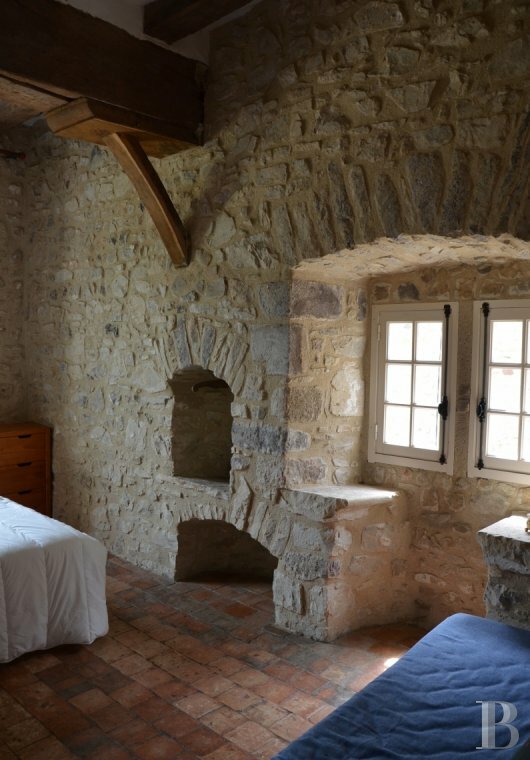 This L-shaped residence spans three levels, constructed over cellars with stone pillars. The foundations are laid on rock. The slate roof was recently redone on the south and west sides. The walls are built of sandstone and the stone has been left exposed both outside and inside. The wooden door and window frames contain double glazing on the castle square side. 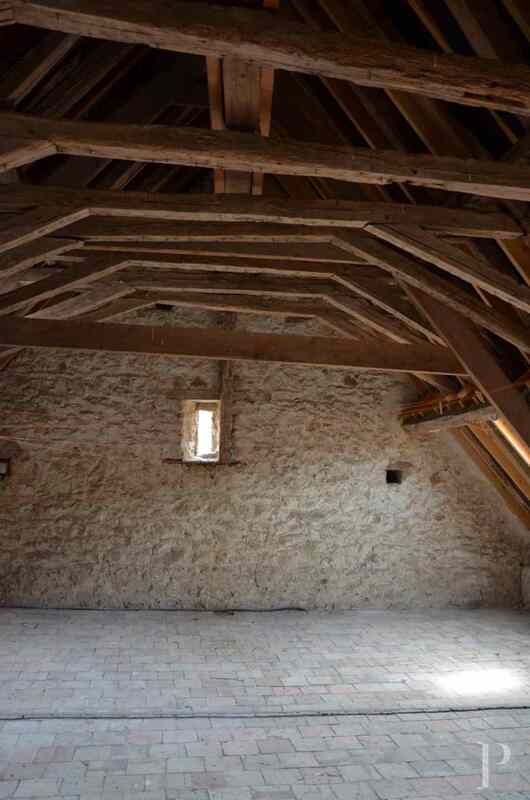 The attic, which could be converted, has skylights, old terracotta floor tiles as in most of the rooms and exposed beams. 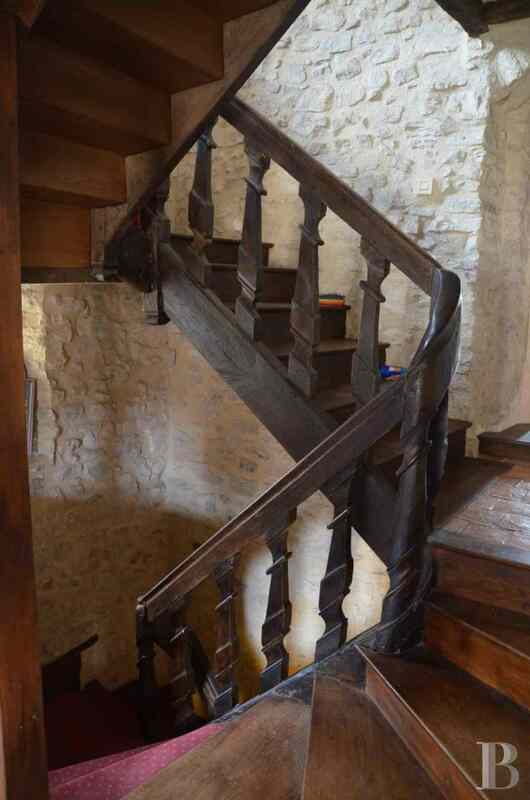 The residence can be entered in one of two ways from the first courtyard: either directly into the lounge or into the entrance hall with its 17th century stairway going upstairs. On the right-hand side is a shower room with a toilet and storage cupboards. 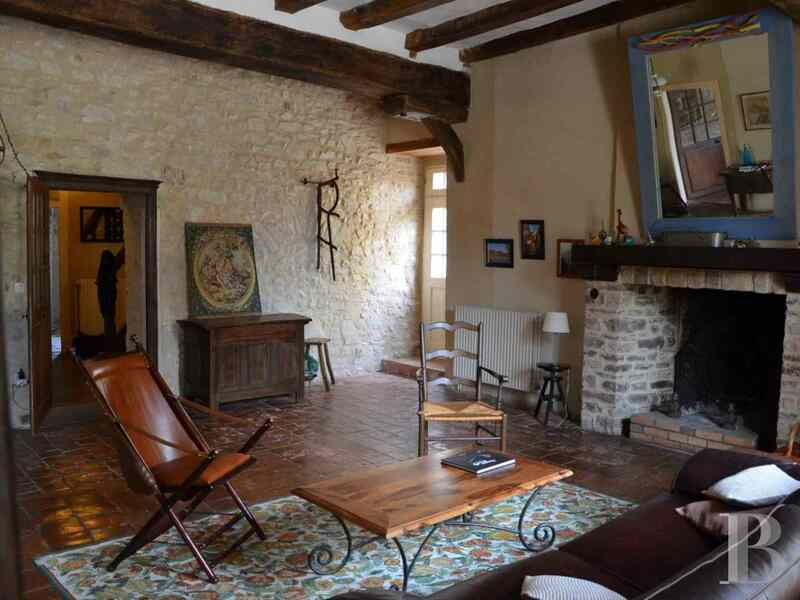 Straight on, a kitchen features a 15th century open-hearth fireplace. On the left-hand side are two reception rooms, the aforementioned lounge and a dining room. 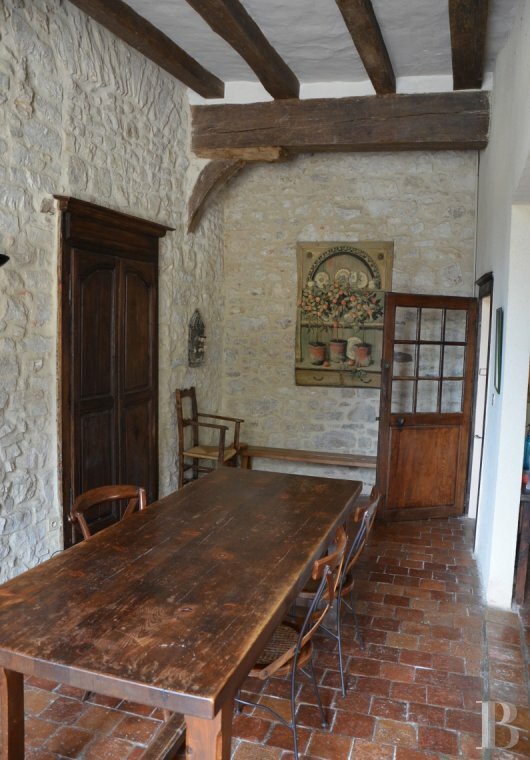 The first floor landing, reached via the 17th century stairway, provides access to the bedroom that looks out on to the rear courtyard. A wide corridor, which could house a study area, leads to two bedrooms with a view of the castle. Adjoining the bigger of the two is a recent shower room, fitted with a spacious, Italian-style shower and a Japanese-style toilet. 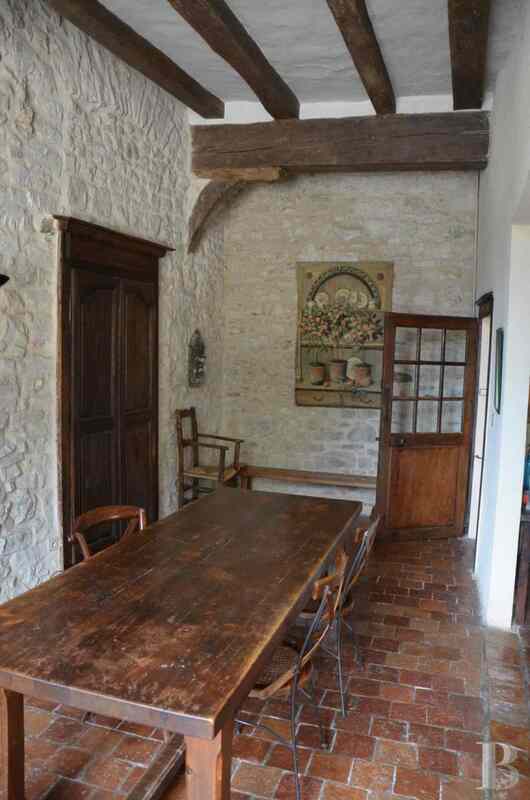 There are exposed ceiling beams and terracotta floor tiles throughout. 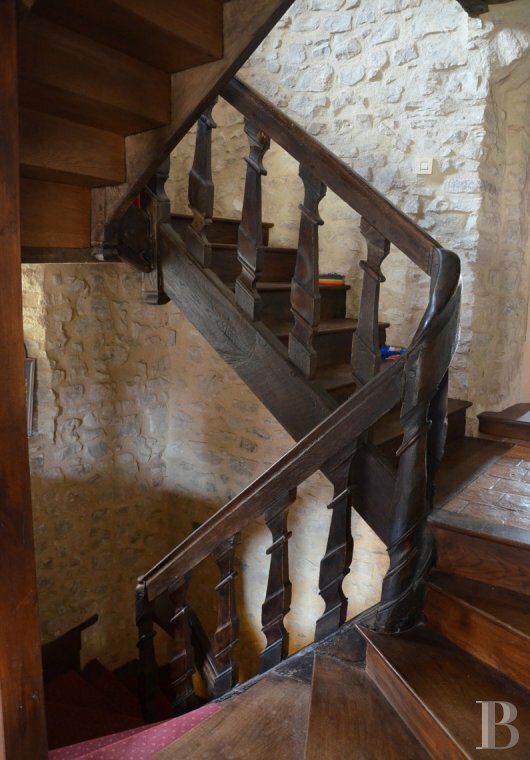 The original stairway continues up to the second floor comprising a through and a second room. 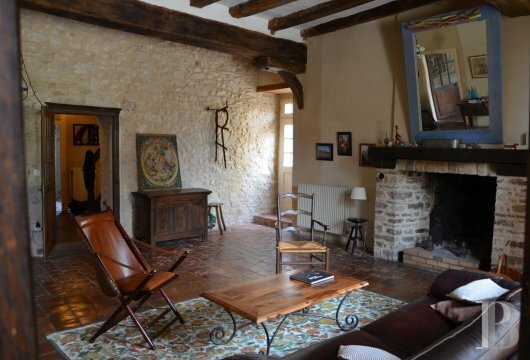 The conversion of this floor would be enhanced by the character that the exposed beams of its roofing framework and the old terracotta floor tiles provide. The skylights have been changed. 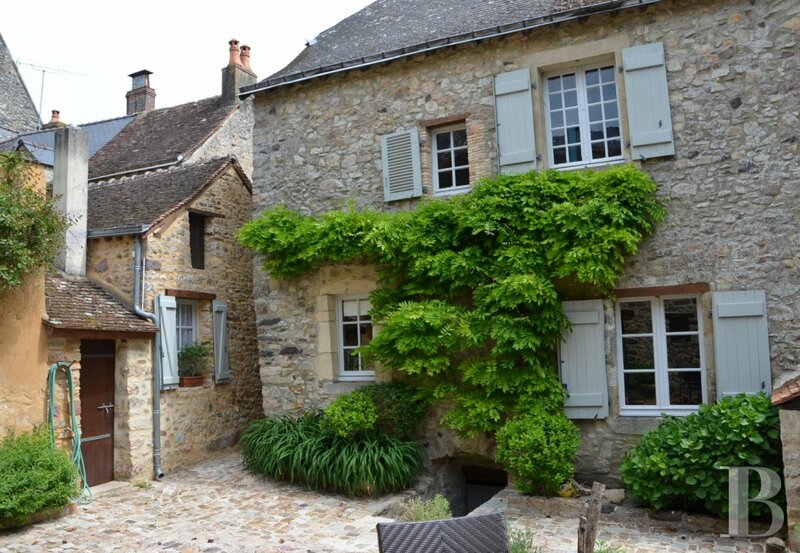 This property is reached via a first paved courtyard, set behind gates that face the castle. A stone archway on the west side leads to a second courtyard with an exit out into a narrow street. This same planted courtyard is enclosed by high walls and features a wooden terrace with lighting. 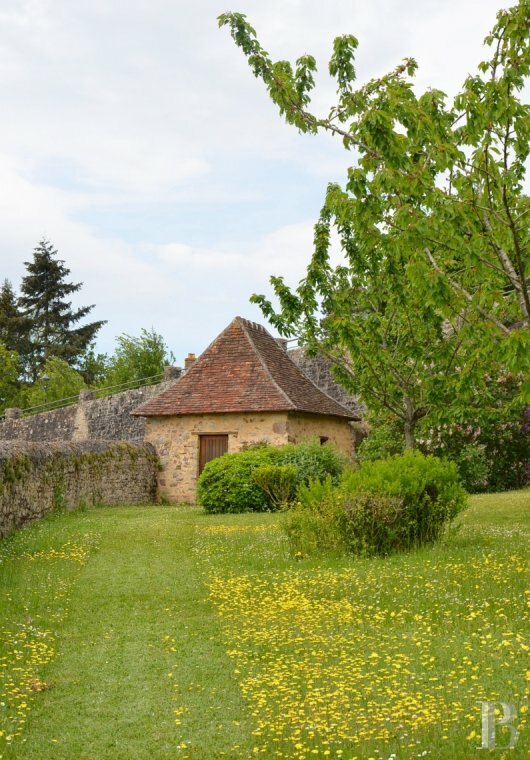 The outbuildings are topped with local roof tiles and used for miscellaneous purposes. They are all in a good general state of repair. One, standing in the first courtyard and facing the entrance, is laid out as a bedroom. The other outbuildings, in the rear courtyard, include a boiler room, a storage area and a garage. 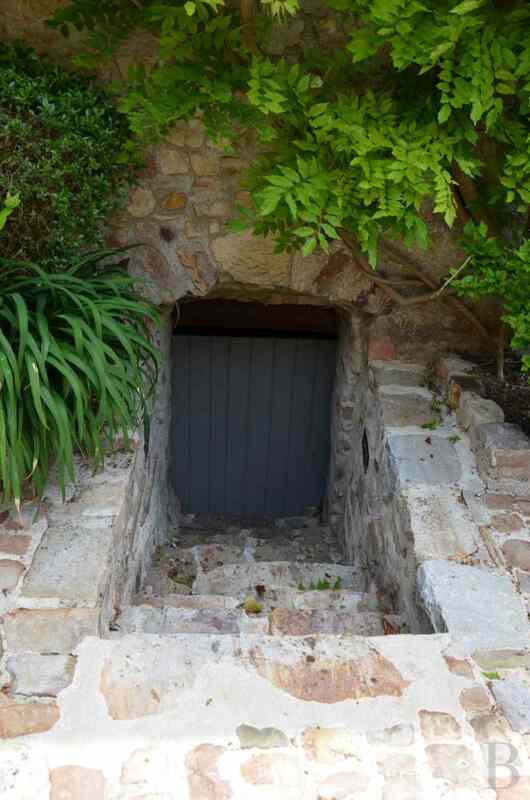 An outside stairway leads to the cellar. Stone, wood and terracotta take pride of place here as does the peace and quiet guaranteed by two successive courtyards, the second of which creating a wonderfully private area. 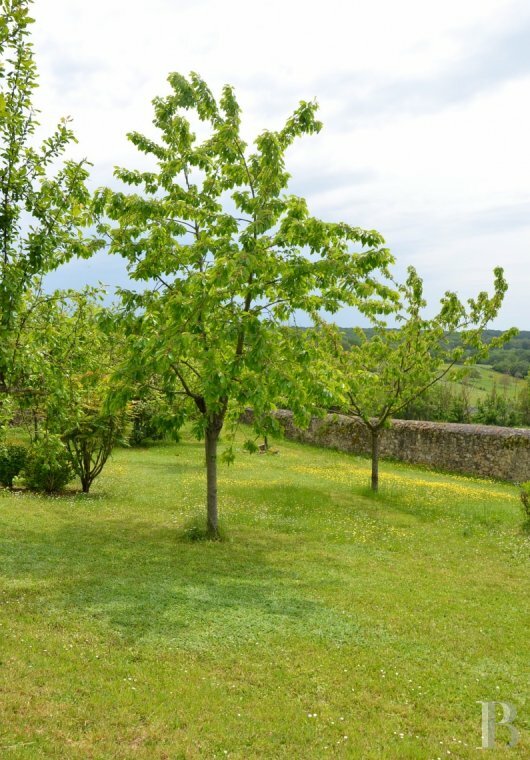 Not forgetting the garden-orchard, nestling next to the ramparts, which provides a superb spot just a short distance from the house for contemplating the countryside. 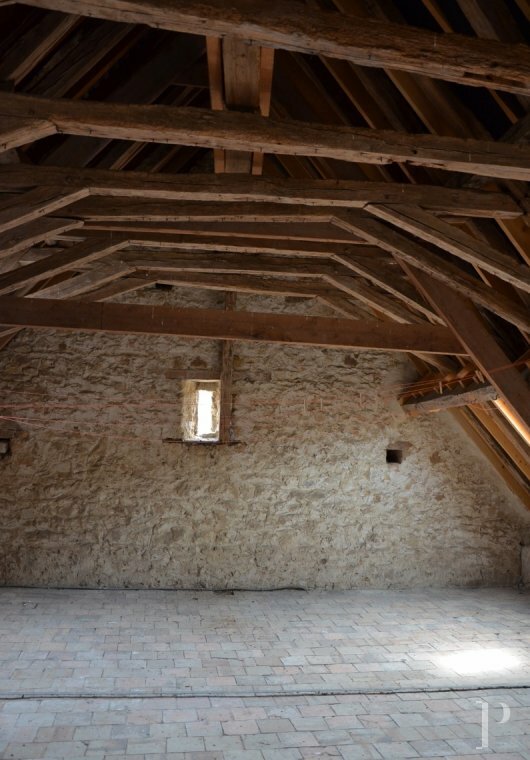 The numerous vestiges of its ancient origin inside the residence in no way diminish the modern-day home comforts that could, if so desired, be extended to the attic. The village could be seen as the epitome of the region’s wealth. Its heritage, together with cultural events, has earned it a much-deserved reputation without any of the disadvantages of the crowds as cars are prohibited in the town.